Reducing pump related equipment, repair and maintenance costs is easy when fluid processing operators switch to self-priming pumps from Phantom Pumps rather than using Super T Series pump models and other variable speed pumps from Gorman-Rupp, Warman, ESCO Pumps, Durco or another well respected, yet higher priced, manufacturer. We’re the centrifugal pump company that designs and manufactures cost-effective centrifugal pump alternatives that are compatible and interchangeable with hundreds of pumps in use at processing facilities in the US and Caribbean. 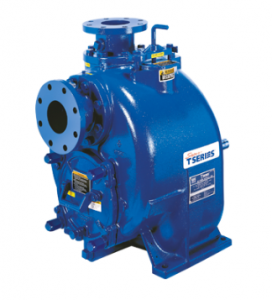 We manufacture our pumps to the highest industry standards and back them with one-year guarantees. Also, we assemble, test and package all pumps in the United States for quality assurance. The materials of construction that are available for the pumps and components, such as casings, cover plates, bearing housings, and flanges, in our Phantom Pumps lines, include A48CL30, ADI, 316SS, and CD4MCU. Mechanical seals are made of 316SS, Buna or Tungs/Titanium Carbide. Flap valves are made of Neoprene or Viton, and impeller shafts feature ANSI4140HT or ANSI17-4PH materials. Managers of in-house service departments at processing facilities often find that Phantom Pumps replacement parts are the perfect solution to the ever-rising repair and maintenance costs of compatible variable speed pumps. Our Phantom Pumps specialists are available to cross-reference Super T Series pump and replacement part numbers to our Phantom Pumps product numbers quickly. Our distributors in Florida, Alabama, Georgia, Ohio, Texas and beyond are the local experts who carry our full lines of pumps and parts, and they are able to provide installation guidance, startup assistance, technical support and more. Contact a Phantom Pumps associate today for help selecting the pumps in our line best suited to your processing specification requirements or to request quotes.